at the orphanage after a not quite successful Western-inspired raid. Egon has discovered that the head of the orphanage, Sigvald Pettersen, together with his wife Mathilde and his brother Thorvald, is planning to sabotage Cirkus Flamingo which is coming to town, in order to take over the circus. They have worked out a devilish and nasty plan which involves the Biffen gang and a dangerous bomb in a red suitcase. Therefore, Egon has to work out a plan so that Kjell, Benny and Dynamite Harry can help him sabotage the sabotage. 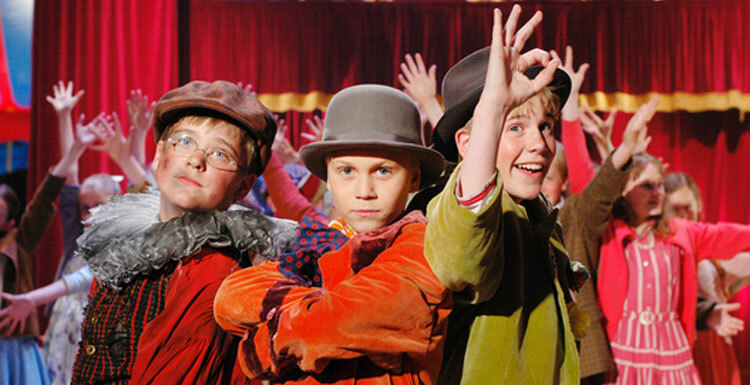 But as Harry is unfocused, Benny is a scatterbrain, and Kjell has a total crush on Valborg – and she threatens to go to the circus with Biffen instead – then it doesn't help much if everything is well timed and arranged. As the police officers Holm and Hermansen venture out on a mouse hunt instead of catching crooks, the circus bandits have an easy job. The Olsen gang ends up in a breakneck race to save Cirkus Flamingo, with the Biffen gang, the crooks and the police close at their heels.